Buying a new home can sometimes be likened to going for a ride on a rollercoaster. Except the ride is taken by your emotions and at some point you realize you’re stuck seeing the ride through to the end – no matter how tumultuous it may feel. A good Kelowna real estate agent will guide you through every step of the home buying process, so that your home buying journey is filled with elation, rather than fear and loathing. 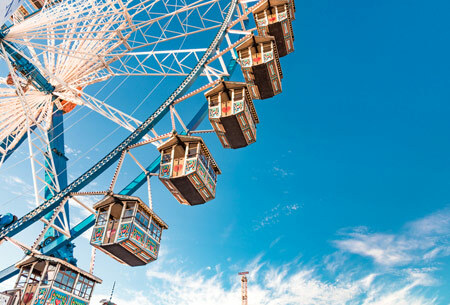 A great real estate agent might steer you away from the roller coaster lineup all together and suggest something a little less volatile, like the ferris wheel. Regardless, if you’re buying real estate in a market like Kelowna, we suggest you buckle in. Waterfront living in Kelowna is a beautiful, in demand luxury that is coveted by nearly everyone who visits and lives in the Okanagan. Kelowna itself is a burgeoning city with rapid development, great job prospects and a growing population. It’s no surprise that when people visit Kelowna for the first time they immediately fall in love and start checking out options for how to move here permanently or at the very least pick up an investment for their future years. For a select few, many of these house hunts turn their focus to the shores of Okanagan Lake and the homes, estates and acreages that dot the sandy beaches. 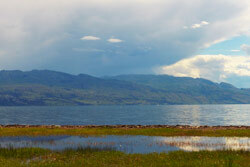 Okanagan Lake is the crown jewel of Kelowna due to the unlimited activities like boating, paddling, swimming, fishing and any other water based activity you can conjure up. At 135 km long there’s no shortage of room even on the busiest of summer days, so it’s very natural after spending days out on the water on your vacation that you start dreaming about making a permanent move to the beach. We want to make sure that before you start searching for Kelowna waterfront property for sale that you avoid these common mistakes. Mother nature has a mind of her own these days and whether you believe in climate change or not you will want to take heed of local weather when you consider purchasing a lakeside home. We will get to flooding, which is a common spring problem for waterfront homes in Kelowna, but we also want to point out other natural occurrences that can wreak havoc on your yard, home and utilities such as wind, and forest fire. You’ll want to keep an eye out for larges trees too close to the home, foundation heights and landscaping that is not native to the area and could be seen as fuel for fires. Flooding is a common issue in British Columbia during the spring season. All the great snowpack that make our province a sought after winter destination has to go somewhere and that can impact your lakeside living plans in a big way. 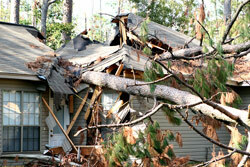 Ensure that your home is protected and eligible for overland flood insurance. Waterfront property in Kelowna is always going to come at a premium. Make sure that you have spoken in advance with your mortgage broker or bank before you write an offer to avoid costly delays. You will want to check into local real estate and tax laws as well. They are always changing depending on what government party is in power and could affect your ability to rent your property while you aren’t living in it. Just because you bought it doesn’t necessarily mean you can do what you want with it! There are a number of bylaws, heritage building covenants and landscaping bylaws that could affect your ability to renovate and add in the tennis court of your dreams. Make sure that your agent provides you with these details from the city before you sign off and make your lakeside purchase. Your Kelowna waterfront real estate specialist will know a lot about the area you are considering, but unless they live or have lived on the same street they won’t know it all. Speak to neighbours whenever you have the chance ahead of your purchase. 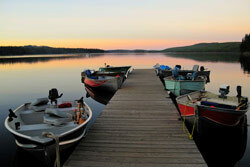 Get a feel for bylaws, problematic rentals nearby, and any other issues. It’s always advised to go into any home purchase with your eyes wide open. 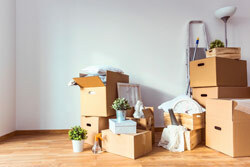 While most ‘problems’ can be solved with some determination and resolve you will be better served if you are prepared in advance of your moving day. Other common things you will want to check into ahead of your offer include, dock and wharf permits, utilities and knowing what your responsibilities are especially if you are considering purchasing a waterfront home in a strata development. 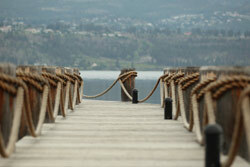 If you have other questions about waterfront home ownership in Kelowna, we encourage you to reach out. I would love to answer your questions and have a chat about what you’re looking for in terms of home ownership along the shores of Okanagan Lake. My goal is to steer you towards the ferris wheel rather than the rollercoaster!